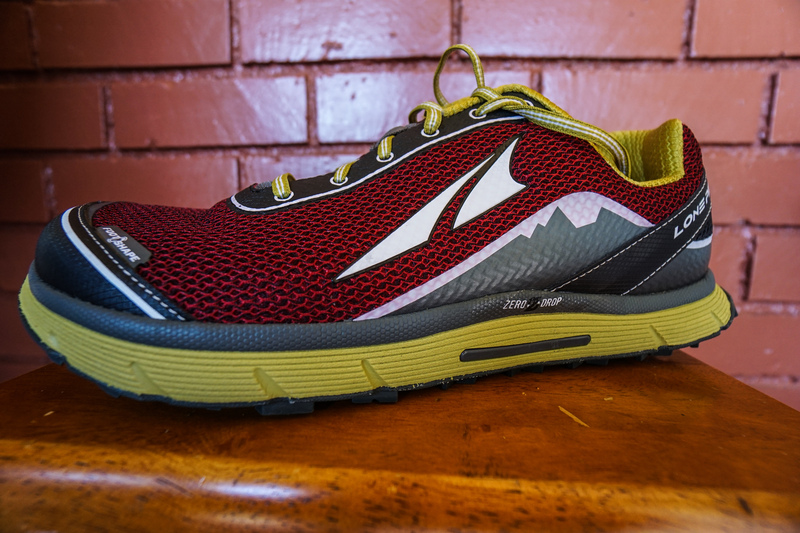 The Altra Lone Peak 2.5 is a pair of shoes I’ve been looking forward to all year. The Lone Peak 2.0 was an incredible shoe that had two major shortcomings in my book. On the positive side, the 2.0 was incredibly comfortable, provided awesome grip and protection, had a silky footshaped toe box, and was the kind of shoe I could wear for miles without ever thinking about the fact that they were on my feet. The two shortcomings were a rubber used on the outsole that began disintegrating after 20 miles, and an upper that had a little too much volume in the midfoot and heel. The changes made for the 2.5 version of the Lone Peak appear to have fixed the problems I had with the 2.0. I have to give a big round of applause to Altra on this point. Altra was a small company start-up from Utah only a few years ago, and have grown into a major player in the shoe market. Some companies lose their spirit with growth and outside investment. Not so with Altra, they keep releasing great shoes and most importantly, they continue listening to their customers! For this new version of the Lone Peak, Altra has gone to a new rubber compound for the outsole, and have decreased the volume of the shoe’s upper. Only time will tell how the outsole holds up, but the changes made to the fit and feel of the upper are superb. I’m really looking forward to racking up the miles on these shoes as we close out summer and head into fall. Altra has gone with a new weave type fabric for the upper which seems like it’s going to be more breathable than the uppers used on version 2.0. What I loved about the 2.0 was how well they kept dust, dirt, and debris out of my shoes. I’ll have to wait and see if this new upper changes any of that. The 2.5 has a stitched toe cap that replaces the welded overlay toe protector of the 2.0. I didn’t have any problems with the welded overlay, but this one appears to allow for more vertical volume in the foot shaped toe box. The inside of the Lone Peak 2.5 feels great on the foot, with no noticeable seems or rub points. One of the most important changes for the 2.5 is the decrease in the upper’s volume. In the 2.0 I had to tighten the laces all the way until the grommets from each side of the shoe were almost touching. Not so with the 2.5, the fit, feel, and amount of shoe volume is near perfect on this shoe. I like that Altra uses a welded overlay with light stitching in the lace section of the 2.5 instead of metal or plastic grommets. Beneath the laces, you’ll find a gusseted tongue to keep out dirt and debris from the trail. The Lone Peak 2.5 has a heel fit that is much more snug than the 2.0, and is very comfortable. I like that Altra removed some of the extra padding from this area that made the previous version feel a bit like a skate shoe. I don’t use Veclcro gaiters, but I know a ton of people who do (Dirty Girl Gaiters mostly), and the Lone Peak has kept the Gaiter Trap feature from previos versions. This shoe is a zero drop shoe with a 20mm stack height in both the heel and forefoot (all Altras are 0 drop). Altra uses a Sandwiched StoneGuard rockplate for push through protection. What makes this different from other rock plates found in trail shoes is that Altra places the protection between the A-bound and EVA layers of foam, where other companies place the stone guard closer to the outsole. This allows the shoe to absorb some of the impact before deflecting it. For the outsole of the Lone Peak 2.5 Altra is once again using their Trail Claw tread pattern. Trail Claw is composed of a series of chevrons down the middle of the foot and in the forefoot, and x shaped lugs along the perimeter of the midfoot. I found this pattern to work great on all sorts of trail conditions for the 2.0, the only problem was it’s durability. I have read that Altra has changed the rubber compound in the outsole for the 2.5, so I’m hoping to see better wear this time around. The Lone Peak 2.5 is a very impressive update of the Lone Peak 2.0. Runners and hikers are going to love this shoe, and I expect to see a ton of them on the trails in the year ahead. This summer on the John Muir Trail, the Altra Lone Peaks and Superiors were second in number only to the Brooks Cascadia. With all of the durability issues being reported on the Cascadia 10, I would not be surprised if this shoe ranks number one next year. The Lone Peak 2.5 has all the tools for the perfect trail shoe: It’s lightweight, breathes well, causes no blisters, and has enough cushion to keep the legs feeling fresh. I just have to hope the outsoles hold up now! I can’t wait to start racking up the miles.